You probably noticed, but kids today are busier than ever before. They’re more active and their time is far more regimented than most of us where when we were that age. Or even now, in some cases. Cluttered with extracurricular activities, social engagements, and more, it seems like they’re always running to what’s next. Sports often play a big part in this. They can be hugely beneficial: they’re a way to get exercise, make friends, learn teamwork, and other skills. In many situations, they’re so important they factor into parenting plans after divorce. 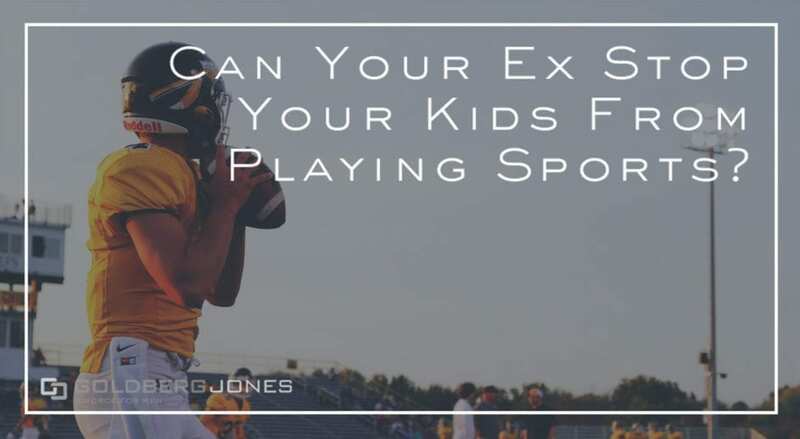 But what if your ex tries to interfere or stop your kids from playing sports? Can they do that? What options do you have if they try? In this discussion, we use sports as the example, but it can be any activity. Sports are common, but it can be martial arts, drama or musical performances, robotics club, or other endeavors. Youth sports come with their own baggage, like the ongoing discussion over potential injury, but similar regulations apply no matter the pastime. There are many legitimate reasons why parents may not want their kids playing sports. Maybe they believe it’s too dangerous or the possibility for injury is too high. This is a concern in all sports, but especially in high-contact games, like football. Perhaps one parent feels the kids are too young or that it will distract from school work. It may be as simple as one parent doesn’t want to schlep across town for practice three nights a week. Some reasons are compelling, while others aren’t as persuasive. But it varies from one situation to the next. Ultimately, it’s up to the parents to decide whether or not to allow their children to play sports. Ideally, in making this decision, the parents consider what’s truly in the child’s best interest. You have to weigh factors like safety, whether they’re passionate about it, and so much more. In a perfect situation, both parents discuss the matter and come to an agreement. But that doesn’t always happen. For example, if your daughter plays soccer, but your ex prevents her from going to games during visitation weekends, what can you do? In some cases, a parenting plan can come into play. The official court-order that lays out a custody arrangement after a divorce or break up, these documents can contain many things. If an activity is important to your child, you can actually write it into the parenting plan. Sports often fall into this category. That way, if your ex attempts to stop your child from playing sports, you have legal recourse. Once you establish a valid parenting plan, both you and your ex legally must abide by the terms. Neither parent can simply decide one day to stop following the plan. If the violation continues, you may even have a contempt case. That may sound extreme, and it is, but it’s possible. There are caveats to this. To write a specific sport into a parenting plan, you probably have to know your child has an interest. It’s one thing if your high school aged son plays high level AAU basketball or is an Olympic hopeful figure skater. That you can plan for. 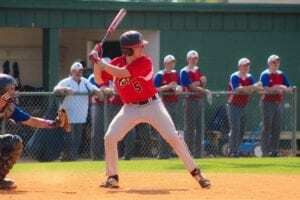 It’s another if your elementary school child maybe wants to play tee ball down the road. If your ex refuses to play ball, so to speak, and abide by the parenting plan, you may have a case for contempt. There are legal outlets to enforce the stipulations of your parenting plan. Different counties in Oregon have different regulations and procedures for enforcement proceedings, so it’s important to know the specific laws where you live. This type of legal action is serious, so it shouldn’t be undertaken lightly. It’s not for your ex making your son miss a baseball game once. This is more a last resort when there are no other options. Sometimes, even the threat of legal action can be enough to convince the other parent to adhere to the rules going forward. If it becomes clear that one or both parents can no longer stick to the terms, it is possible to modify a parenting plan. Be warned, like most court orders, once in place, these are difficult to change. It’s often a long, expensive process. The best way is to make sure the original document is something everyone can live with for the long haul. In Oregon, you must file a Motion Requesting Modification. There’s more to it, but at a basic level, you’ll have to show a significant change in circumstances. Beyond that, you need to demonstrate that this move represents the child’s best interests. Even then, the court still may not grant the modification. When deciding whether or not to modify a parenting plan, the courts account for many variables. or if the other parent refuses to follow the agreement or has been found in contempt. A judge may consider these and other factors. Ideally, if your ex tries to stop your child from participating in any court-approved activity, it won’t require legal action. The best way to decide the fate of your child playing sports is for both parents to have a rational, adult conversation. In cases of divorce and custody, however, that’s often easier said than done.